Whether as a dessert to top off a meal or as a delightful midday snack, a charming assortment of gourmet cookies is sure to please. 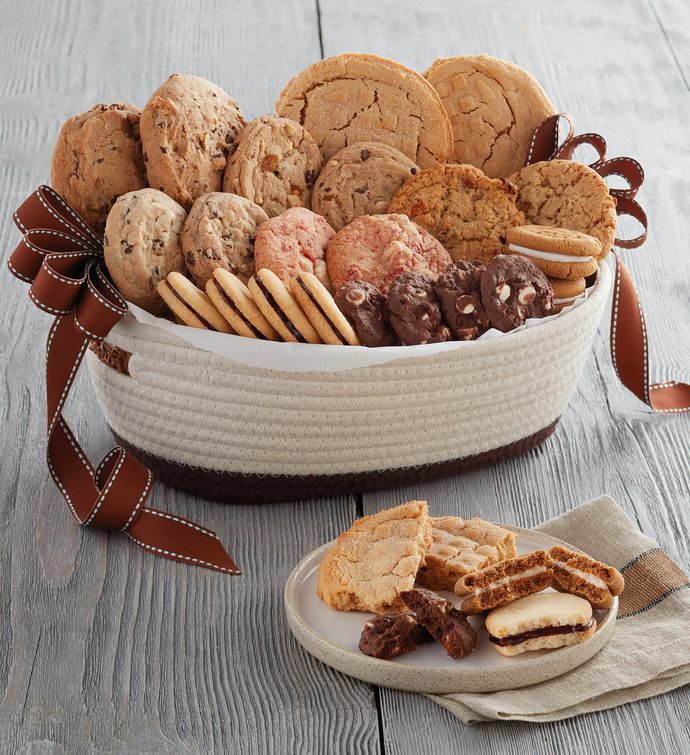 Our Classic Signature Cookie Gift Basket presents a wide variety of flavors, ranging from well-loved favorites like chocolate-chocolate chunk and apple raisin to the contemporary tastes of sweet and tart white chocolate raspberry and blackberry galettes. No matter the palate, this gift has something everyone will enjoy.